The great majority of Andrés Rodríguez-Pose's research covers issues of clear socio-economic and political relevance. Much of his work is at the forefront of the analysis of the impact of public policies in different parts of the world. Given this research profile, he frequently advices international organisations and national governments with the aim of contributing to the formulation of theoretically-grounded public policies based on a rigorous evaluation of existing empirical evidence. His work on policy advice in the past can be divided between international organisations, regional institutions - fundamentally in Europe and Latin America - and national government departments and agencies. World Bank: Andrés Rodríguez-Pose was in charge of a team drafting a report on "Local Economic Development Applicable in Cities Alliance Activities - Incubating LED Partnerships", which was followed by a resource guide entitled "Understanding your local economy". He was a member of the project looking at "The internal geography of trade in the developing world", and was responsible for drafting a policy paper on "Trade and regional inequality" for the International Trade Department. He has also directed a report entitled "Local Economic Development as an alternative approach to economic development in Sub-Saharan Africa", and has been involved as well in a number of more specific projects ranging from regional development in Saudi Arabia, to the determinants of firm exports in Indonesia, trade and decentralization in Georgia, or the relationship between institutional change and regional development in Romania. Cities Alliance: The resource guide "Understanding your local economy" was part of a joint World Bank - Cities Alliance Project. 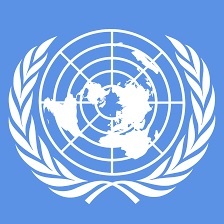 International Labour Organization (ILO): Andrés Rodríguez-Pose was responsible for the design and the joint-drafting, with Sylvia Tijmstra, of the "Sensitizing package on local economic development" which has been widely used across the developing world. 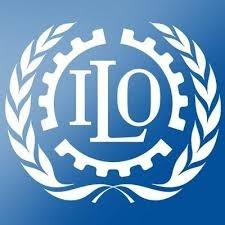 He was also the author of the report "The role of the ILO in implementing local economic development strategies in a globalized world". He has been involved in promoting rural employment strategies for poverty reduction within the "Knowledge base in rural economy" programme. In addition, he featured regularly at the Local Economic Development programmes organised by the ILO at its Training Centre in Turin and has collaborated in a number of projects and missions in, among others, Indonesia, Jordan and Thailand. He was a keynote speaker at the UN Conference on Local Economic Development held at the ILO Training Centre in Turin in 2008. 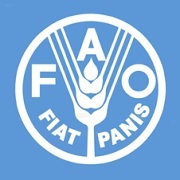 Food and Agriculture Organization (ILO): Andrés has been an active member of the team pioneering the adoption of a territorial approach to food and nutrition security and has been involved in a project on territorial and rural development and food and nutrition security in Oman. UN Capital Development Fund (UNCDF) and UN Development Programme (UNDP): Andrés Rodríguez-Pose played an active role in the preparation of the global Forum on local development, organised jointly by UNCDF and UNDP in Kampala (Uganda) in October 2010. 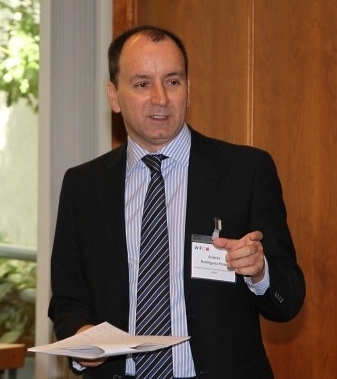 Organisation for Economic Co-operation and Development (OECD): Andrés Rodríguez-Pose regularly collaborates with the OECD on a range of topics. He has been involved in the OECD 2011 Regional Outlook drafting, with Philip McCann, the chapter "Why and When Development Policy Should Be Place-Based". He has also been an assessor in a number of reports, including "How regions grow: Trends and analysis" (2009), "Building Resilient Regions after a Natural Disaster" (2013), and "Investing together: Working effectively across levels of government". He has also collaborated in a number of OECD missions, among which the mission leading to the OECD Territorial Review of Madrid or the Territorial Review of Colombia can be highlighted. 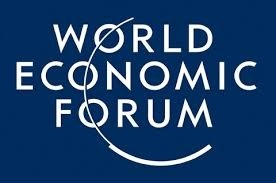 World Economic Forum: Andrés Rodríguez-Pose was a member of the World Economic Forum's Global Agenda Council on Employment (2012-2013) and is currently in the Global Agenda Council on the Economics of Innovation. 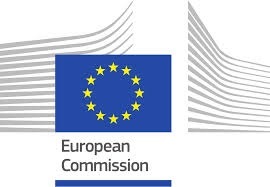 European Commission: Andrés has also a long track record of collaboration with different DGs of the European Commission. He is a regular advisor to DG Regio and DG Research - where between 2012 and 2014 he was a member of the high level economic policy expert group Innovation for Growth (i4g), participated in the expert group on the implementation of the ERA Communication, and is currently a member of the RISE high level expert group - and has worked in the past with DG Energy and Transport and DG Employment. Among his key contributions has been his participation in the Barca Report, for which he also co-authored - jointly with Thomas Farole and Michael Storper - the background paper "Cohesion policy in the European Union: growth, geography, institutions". He has been one of four independent scientific advisors on the "Sixth Report on Economic, Social and Territorial Cohesion". He also co-ordinated a special seminar with top academic experts on institutions and economic development. He was the convenor of a fourteen person panel of invited International Experts to advise the EU Commissioner for Regional Policy and the staff of EU DG Regio on "Institutions, Organisations, and the Socioeconomic Development in the Regions of Europe". His tasks for the European Commission have also included detailed policy evaluations, such as the assessment of the Spanish "S&T and innovation strategy"
European Investment Bank (EIB): Andrés has collaborated with the Chief Economist's Department at the EIB for their annual reports. This led to the publication in 2000 of the paper "Economic convergence and regional development strategies in Spain: The case of Galicia and Navarre" and in 2008 of "Infrastructure endowment and investment as determinants of regional growth in the European Union", the latter written jointly with Riccardo Crescenzi. Both papers appeared as part of the EIB Papers series. 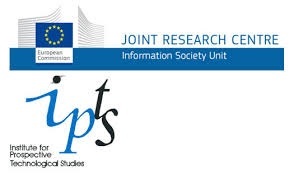 Institute for Prospective Technological Studies (JRC-IPTS): He has been involved with the IPTS in work on institutions and smart specialisation, aimed at improving the understanding of the specific policy measures implemented in order to support the emergence and consolidation of smart specialization. This led to the publication of the following policy brief. Corporación Andina de Fomento (CAF): Andrés Rodríguez-Pose was heavily involved in the preparation of the CAF's report on "Local Development: Towards a new protagonism of cities and regions" (2010). He was also responsible for the drafting of two background papers for the report entitled "Decentralisation and local and regional development" and "On the emergence and significance of local economic development strategies". Inter-American Development Bank (IADB): Andrés has assisted the IADB on several occasion on issues related to science and technology policies, as well as on the potential impact of industrial and scientific technology parks in Latin America and elsewhere in the world. One example of this collaboration is the report "Los parques científicos y tecnológicos en América Latina: Un análisis de la situación actual". Finally, he provides frequent policy advice to government departments and agencies in different countries. He has worked, among others, with DFID on development and city regions and DCLG on decentralisation and well-being (both UK) ; with GIZ (Germany) on local development in Namibia; and with DANIDA (Denmark) on clusters and economic development in Bosnia-Hercegovina.